Is it difficult to install a CISS? CISS installation is relatively straight forward but it does take some time and care depending on the brands. The reason is due to the type of cartridges used. The entire installation process can take just a couple of minutes. It is important to read and follow the instructions during installation and this will ensure trouble free use. The vast majority of problems are a result of not following the instructions during installation. Should I keep my original cartridges that came with the printer? We recommend keeping the cartridges which came with your printer. Before installing the CISS they are needed to ensure your print head is printing correctly. Also, should you ever have a genuine warranty issue with your printer most manufacturers require you to have genuine cartridges installed when having the printer repaired. Why should I use a CISS instead of normal cartridges? The simple answer is that you are wasting money not using one, and significant amounts of money at that. Using a CISS reduces the cost of printing significantly, in fact by up to 97%*. Even with the initial cost it is roughly the price of one set of cartridges but you get at least 10 times the amount of ink. If and when you need to refill the CISS you can legitimately save an average of $1,000.00. Whilst all brands and cartridges contain different amounts of ink and are all priced differently an average cartridge these days contains less than 10mls of ink and cost around the $25 mark. So you pay around $2.5 for every ml of ink. A bottle of the highest quality premium refill ink from rihac costs around $14 for 100mls, so 14c per ml.This would make your $25 cartridge cost you $1.40 from rihac. Does installing a CISS void my printer's warranty? This is a very grey area. Strictly speaking any printer modification will void any warranty. A CISS is not a modification and is the same as using any other third party cartridge. Further the use of third party cartridges (such as a CISS) MAY void a warranty. In most cases a manufacturer requires their particular brand of cartridges to be installed before undertaking any repairs. So simply removing the CISS and reinserting a set of cartridges when returning the printer for repair would satisfy this requirement. Over the years we have sold tens of thousands of CISS units and are only aware of one case where a repair agent refused to repair a printer (with the CISS removed) and in that case the consumer had informed the manufacturer they had been using third party cartridges. In this case the customer chose to challenge the matter by taking it to the local small claims tribunal which resulted in the repairer having to repair the printer as the damages were unrelated to the use of the CISS. Our advice is to consider that your warranty would be voided by using a CISS however the fact that you will save much more money in the long run far outweighs the warranty issue. These days it is often cheaper to buy a new printer than one set of genuine cartridges. Where do I place the CISS once installed? Are there any situations when using a CISS is not recommended? 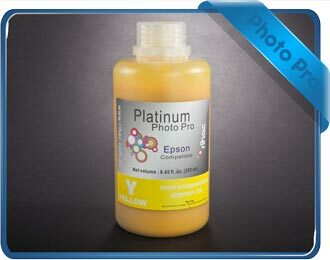 If you very rarely print and take more than a year to go through cartridges then it may not be for you. Ink does have a shelf life. 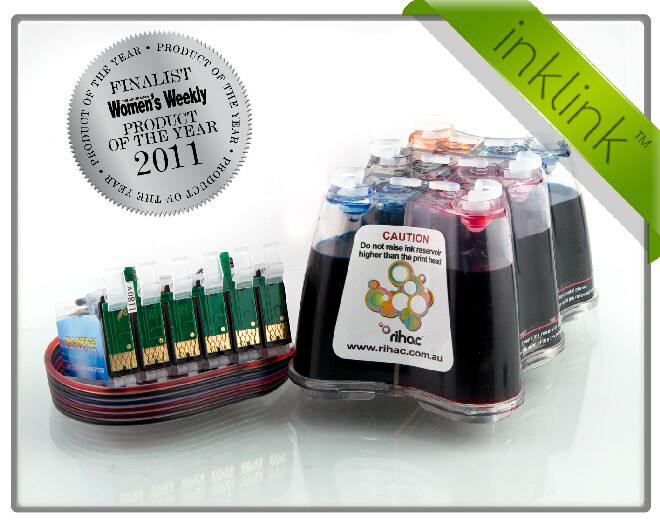 The quality of the ink dictates the shelf life of up to 2 years. All the inks can be used well past these periods but will fade quicker the older they are. I've heard that third party inks can damage my print head and printer? This is true and it is often difficult to wade through the 'creative' advertising of ink sellers to determine fact from fiction. A quick look on Ebay and you will see hundreds of inks for sale with the majority having been manufactured in Asia. Most of these inks have been manufactured for the Asian market which has a low income average, thus their priority is price over quality. This means using cheaper core products and carrier fluids and skimping on things like filtration. Generally the cheaper inks have a significantly less shelf life (as low as 3 months), where the highest quality inks can be used for years without the fade life decreasing or the particle size swelling. It is a complex subject but suffice to say we make sure our inks don't contain anything that will damage the print heads. Generally speaking the chemical makeup of the inks is almost identical to the OEM manufactures inks. Are there any precautions to using a CISS? NEVER raise the system above the printer. It is common sense because liquid (ink included) always tries to go to the lowest point. If you raise the system above your printer that lowest point will be inside your printer. You cannot fool gravity and we are good but we cannot trick the laws of physics. All CISS systems are designed to sit on the same table as your printer, that way the lowest point is the ink reservoir. All CISS systems are designed this way deliberately to ensure the ink cannot leak into your printer. I've heard they stuff up after a while? CISS units are extremely simplistic in design. The greatest problem we see is people not reading the instruction manual and installing the units by guessing. You have a perfectly good instruction manual so please read it. Are there any instructions with this unit? All our units come with an in-depth manual which covers all troubleshooting and support issues.